The theme parks of Lignano are pleased to wish you good fun! Lignano gives you the opportunity to choose between its many parks to enjoy a great holiday. The entrance to the park is free, inside there is a cozy dining area, children's attractions and a small arena where music and dancing are represented. Come visit us, we will have fun together, you can make new friends and spend a bit 'of time in contact with nature, a few steps from the sea! Also available in the evening an impressive 18-hole minigolf course. Strabilia Luna Park has found its ideal location in the north of Viale Europa, where there are about 60 of the most spectacular European sights. Gulliverlandia is a theme park where dinosaurs, Mayan pyramids and vulcanos are the order of the day! Admire sharks and eels as you walk through the underwater tunnel. The Parrot Park-Research Centre is the first park dedicated to the European Monothematic Psittaciformes born with the aim of studying the world of parrots in terms of pathology, ethology and cultural. Acquasplash is a water theme park covering an area of 60 thousand square metres. Water slides, a wave pool and many other attractions provide an alternative day out to the beach. I Gommosi is a reign of inflatable games and other entertainment for children. By I Gommosi you only pay for the children to play freely on all games indefinitely. The Junior Park offers many attractions and fun for kids of all ages from the pool of balls to track of mountain biking. There are 1,500 animals representing 250 species from all over the world to be admired in Lignano's zoo. Young and old will enjoy strolling through this beautifully landscaped park. 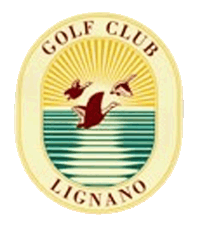 The architect Marco Croze designed the fairway of the Lignano Golf Club. The 18- hole course features lakes and bunkers and has been designed to satisfy the needs of golfers of all levels. The club is immersed in the greenery of a pinewood and is open all year round. 18-hole course, 6.069 metres, 72 par Amenities. Practise green, putting green, pitching green, beauty centre, pro-shop, changing rooms, bags, trollies, E-carts for hire.